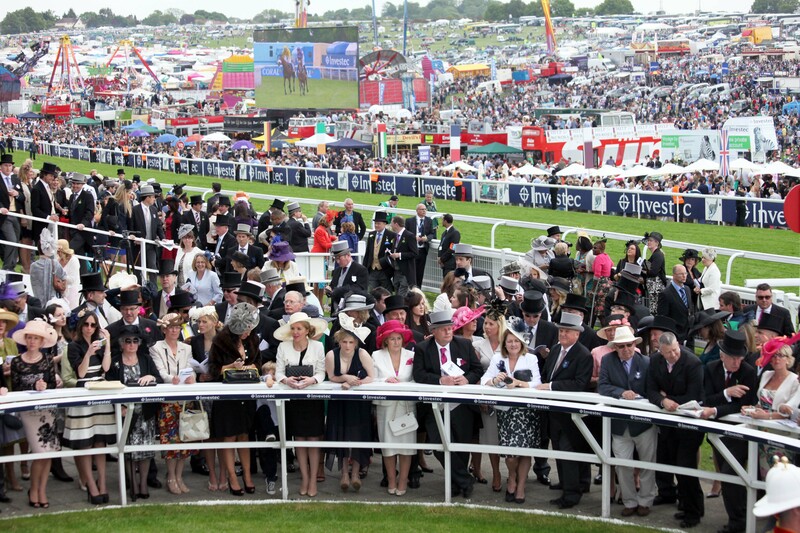 Epsom Downs’ stage the Investec Oaks on the first day of the Derby meeting. (Pic courtesy of Jockey Club Racecourses). By Simon Jackson at Epsom. Legatissimo is taken to provide Ryan Moore with his third Classic victory of the season by landing the £450,000 Investec Oaks at Epsom this afternoon. Moore has already won the first two of the five Classic races of 2015 when landing the Qipco 2000 Guineas on Gleneagles and the Qipco 1000 Guineas on Legatissimo at Newmarket on May 2 and 3. At Newmarket Legatissimo travelled towards the rear for Moore for much of the one mile Group 1 contest, before staying on well to take the lead inside the last half furlong. The way she finished suggests she will stay the mile and a half distance of the Oaks and the Newmarket victory impressed Moore. “Once she was getting the room I was always confident I would pick them up. Once I got her into gear she was always going to get there, she’s a tough hard filly,” Moore said of the filly who bids to become the 48th to complete the 1000 Guineas and Oaks double and the first since Kazzia in 2002. Legatissimo narrowly heads the betting at 3-1 from Crystal Zvezda who is the main danger and trading at between 3-1 and 4-1 after impressing with the manner of her win in the Listed Haras De Bouquetot Fillies’ Trial Stakes on her reappearance at Newbury last month. The victory was the Sir Michael Stoute-trained filly’s second in three starts and the trainer reports the daughter of Dubawi in good order as she steps up to the mile and a half distance of the Oaks for the first time. “Crystal Zvezda took her Newbury race well, and I have been pleased with her preparation. I am very hopeful she will get the Oaks trip and handle Epsom,” Stoute said. Lady Of Dubai (11-1) is fancied to finish in the first three. Her trainer Luca Cumani believes that the Epsom course and distance will suit the filly who won a Listed race at Goodwood at her last start. “Neither the course or the distance should be a problem to her,” Cumani said. “On pedigree she should stay a mile and a half and when you handle the undulations at Goodwood it is a good pointer to being able to act around Epsom. The best outsider in the field of 11 runners may be the 16-1 shot Star Of Seville, who looks a good each way bet after winning her last three starts.